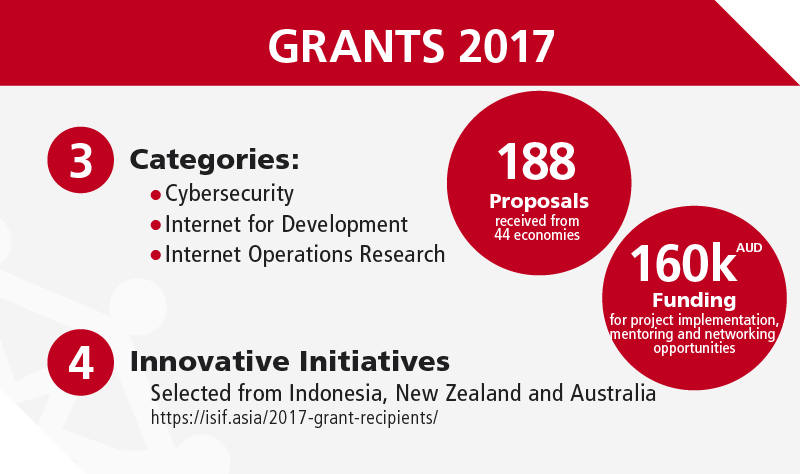 During 2017 ISIF Asia allocated AUD 160,000 across 3 categories, to support research and development of Internet technologies for the benefit of the Asia Pacific. “Scalable Traffic Classification in Internet of Things (IoT) for Network Anomaly Detection”. Victoria University of Wellington, New Zealand. This project focuses on accurate traffic classification in the Internet of Things (IoT). As IoT comprises large numbers of simple devices running single applications, often with little to no security features making them easily compromised and used as tools in cyberattacks, it is important to be able to classify new traffic types coming from IoT devices accurately and promptly, so that anomalous traffic can be identified and dealt with quickly. The project studies how unsupervised machine learning can be applied to network anomaly detection in the dynamic IoT environment where previously unencountered traffic types and patterns are regularly emerging and need to be identified and classified. This project involves the study and selection of appropriate machine learning and identification of those flow features which have the highest impact on traffic classification accuracy. The success of this project will contribute to making safer cyber-physical systems that are an integral component of the IoT. The research will be conducted in collaboration with National Chiao Tung University in Taiwan.Learn more about the School of Engineering and Computer Science work at Victoria University of Wellington. Satellite Internet connections to ISPs on Pacific Islands often suffer from TCP queue oscillation. The problem occurs when multiple off-island TCP senders simultaneously try to adjust their congestion windows to make best use of the available link capacity: If their previous transmissions arrived at the island end, the senders receive ACK packets and increase their congestion windows. If no ACKs return, the senders reduce the window sizes exponentially. However, this ACK-based feedback is always out of date due to the large latency of satellite links, while the queue at the entry point to such narrowband links can overflow very quickly. Our experiments in the islands have shown that coding small numbers of flows across such links can result in higher goodput as the coding conceals some of the queue overflow packet loss from the receiver. Building on our previous ISIF Asia funding, we have confirmed the queue oscillation problem and highlighted that coding is time-sensitive. This project aims to extend the existing coding software by a configurable delay that lets us send the redundancy at a time when it has a chance to traverse the link. It also aims to add further features to the software that will result in better goodput. The project will also attempt an entirely different approach to coding the TCP traffic, which will be based on byte stream blocks rather than packets. Learn more about the work of the Systems Development and Evaluation Group of the Computer Science Department at the University of Auckland. “Software Defined Networks based Security Architecture for IoT Infrastructures”. The University of Newcastle, Australia. The heterogeneity of IoT devices, the underlying communication infrastructure and the different types of protocols used by these devices make the IoT infrastructures complex and vulnerable to different types of cyberattacks. The main goal of the project is to develop a secure IoT architecture by leveraging the underlying features supported by Software Defined Networks (SDN). The project will develop fine granular security policies and a lightweight security protocol to authenticate IoT devices and secure IoT infrastructure. 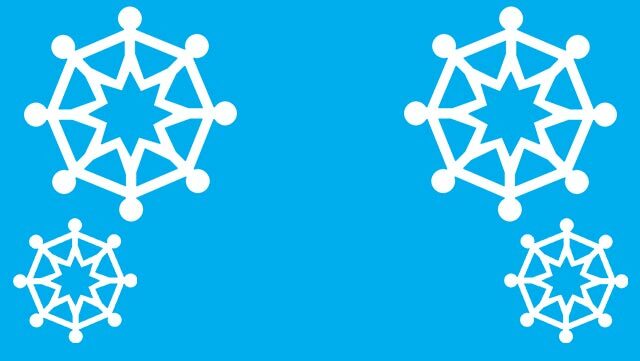 It will investigate the use of OAuth (Open Authorization) protocol to specify credentials and security policies for an IoT device to access other devices and services in the network. The project will then validate the proposed security security architecture and techniques using ONOS SDN Controllers and Raspbian/Busy Box virtual machines and demonstrate how the proposed architecture can defend against Mirai type DDoS attacks. The combination of fine granular security policy driven architecture together with lightweight authentication protocol can help to defend the IoT network infrastructure against botnet-based DDoS attacks. It will help to achieve dynamic detection of attacks and update security policies thereby helping to enhance the security and resilience of IoT infrastructure.Learn more about the work of the Advanced Cyber Security Engineering Research Centre of the University of Newcastle. Community health centres play an important role in health development in Bandung, but in the 70 centres that average 200 daily active visitors, waiting rooms are often chaotic, disorganized and inefficient. This is not just a frustration to patients, it also can encourage the spread of illness. Nuesto Technology developed a simplified queuing system (Qiwii) that allows people to: register from different channels (on the spot registration by kiosk, SMS, app, and website); gives patients an estimated queuing time; and provides real-time analytics and data to help health workers analyse and plan health development programs. Since implementing a pilot phase, average queuing time decreased from 3 to 4 hours to 1 hour on average, and patient satisfaction rose from 3 (out of 5 stars). Learn more about the work of Nuesto Technology.